So how old is this water boiler? 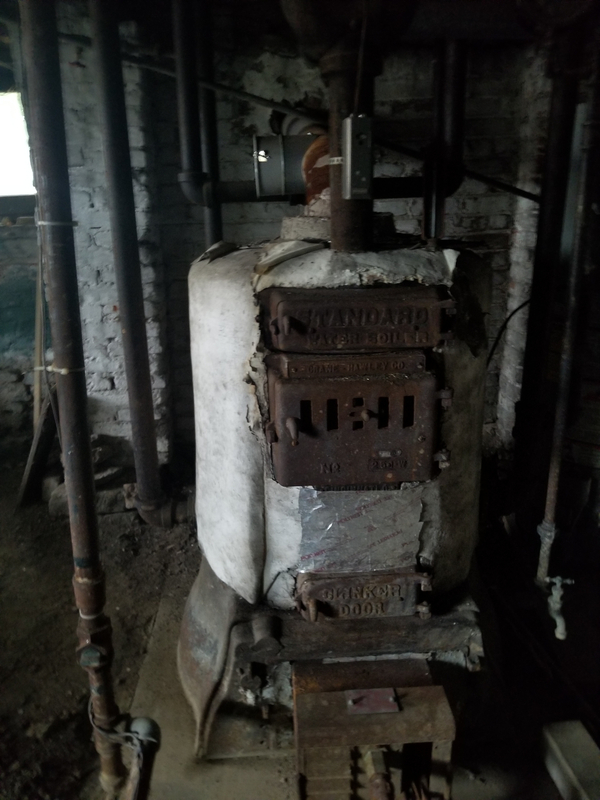 We are looking at buying a house and the buyer said the boiler works great..but it looks like it is a million years old. It says standard water boiler crane-hawley no 26.. and has the most ornate thermometer .. 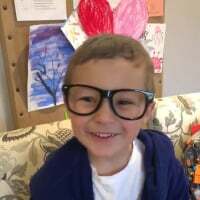 I am trying to figure out how tp post a picture. Probably about as old as your great grand daddy. And about as efficient as a fire in a burn barrel. And that's asbestos covering it. The gas is also shut off to it. Do you know why? It seems to have been originally a coal-fired boiler. The asbestos seems to have been encapsulated, which may be OK. Efficiency-wise, it probably couldn't be economically justified to replace the boiler, if it still works. I think the boiler may be the least of your worries - what about everything else in the house? If your serious about the house, realize that the boiler should be replaced along with proper asbestos removal. Your looking at a rather large job and will cost upward of way up. We dont discuss pricing here but the boiler should be a serious topic against the sellers asking price. According to one of my Dead Men's Books, that type of boiler is about 40% efficient on oil, so it's probably just as bad on gas. I'd replace it- you'll probably cut your fuel consumption in half. Where are you located? Time for an new boiler no questions asked. Might need new gas line to. If venting into that chimney most likely new chimney liner would be needed. If going with an condensing gas boiler you could vent up the chimney with an polypropylene plastic chimney liner kit. If putting that in the chimney you can not vent any other appliance into that chimney. Condensing boiler with indirect water heater, combi gas boiler or cast iron boiler with indirect water heater or regular gas tank type water heater. Get cost from professional heating contractor and use that on price they want for their house. Make your offer as if it needs a boiler replacement. They probably won't accept and will be offended as "it works great". With asbestos and a boiler replacement you are looking at serious $$$$$. We can't talk actual pricing. Bottom line is that boiler is most likely 100+ years old. Its a piece of heating history and deserves to be respected for the job it did uncomplainingly for a century. Time to move on. As others have said, the system side (the radiators themselves) are likely in decent shape, and can be adapted to a modern system with great results for comfort and efficiency. Older than dirt! What is classified as works great to some people is not so great to others. I’d approach offer as needs to be replaced as been said. I wouldn’t trust a home inspection. I’ve seen some stuff they are okay with. The big one will be the underwriters with the mortgage company unless it’s a cash offer. If they are involved they trump a home inspection that passes. Even if the buyer is okay with the issue. This could work In your favor. Along with the boiler old as dirt that foundation in the background doesn't look all that great also. Hope your getting this place for a great price, major $'s need to be invested! I think the problem with this situation boils down to the uncertainty of when the boiler will finally fail. It may “work great” today, but when it develops a major problem in the middle of some winter, and all the reputable installers are busy, then what? Why not have some sort of plans and estimates made for a replacement. This will put you in a better place when death finally comes, as there are many things to consider when choosing a new system. This will help assign a value which you should use to obtain a discount on the house price. How old is the house? Original? Neat old thing! I find these are not as inefficient as they appear. Properly tuned and set up, I see combustion eff. #'s around 76% on steam. I replaced one in a converted gravity system with a TT modcon once and the gas bill only dropped about 25%. The modcon was set for full outdoor reset with a max supply of about 140F.... so we were getting all we could out of the modcon in terms of efficiency.